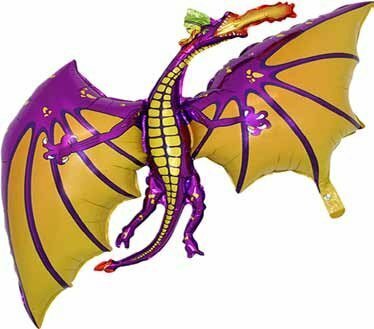 The dragon balloon has a self sealing valve. They can be filled with air so they can be fixed to the wall or they can be filled with helium so that they float. The balloon will come flat and not inflated with either air or helium, you must inflate this balloon yourself. Great gift for a child on their birthday or a party decoration. 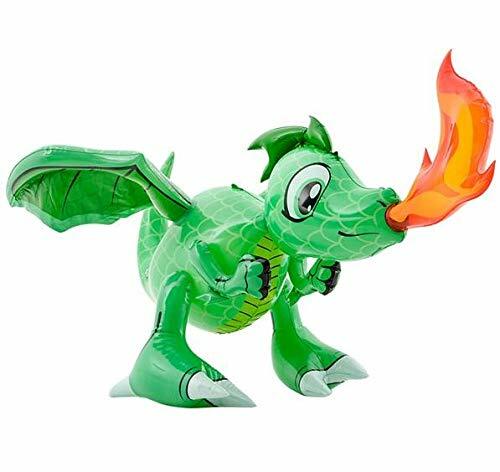 What fairy tale is complete without Daphne; the friendly fire-breathing dragon. 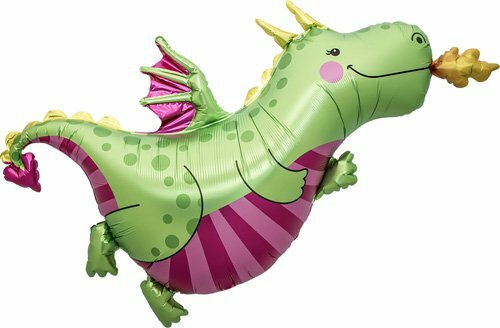 Fulfill your loved one's fantasy with this 47" Daphne Dragon balloon. 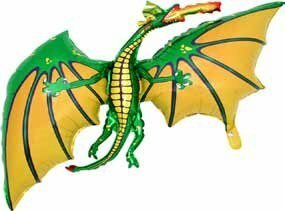 Add a mythical touch to your dragon, knight or medieval -themed party! Balloons are helium quality and are green, lime, black and silver colored with white ink. 16 balloons in each pack. 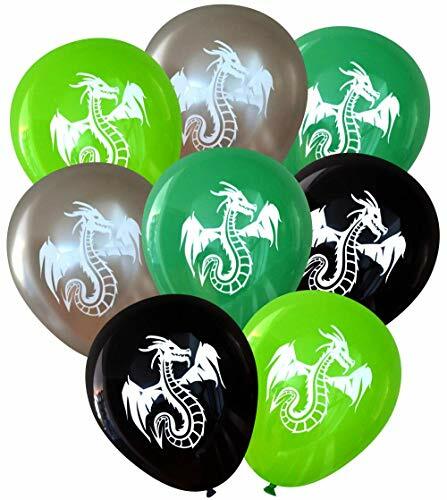 BALLOON SPECIFICATIONS:Material: Helium Quality, 100% Biodegradable Latex Size: 12 Inch (30 cm) Color: Green, Lime, Black, SilverPackage: 16 BalloonsDesign: White Ink, Printed on 1-SideBALLOON INFLATION:If the balloons are properly inflated (ie. not over- or under-inflated) they will last about 8-14 hours if helium filled and 5-7 days if air filled. Actual flying time will vary depending on temperature and atmospheric conditions. **If left outside in the hot sun or rain, the balloons will last only a few hours. ** WARNING! CHOKING HAZARD - Children under 8 years can choke or suffocate on uninflated or broken balloons. Adult supervision required. Keep uninflated balloons away from children. Discard broken balloons at once. MISE EN GARDE! DANGER D'ÉTOUFFEMENT - Les enfants de moins de 8 ans peuvent s'étouffer ou suffoquer avec des ballons non gonflés ou éclatés. La surveillance doit être assurée par un adulte. Tenir les ballons non gonflés à l'écart des enfants. Jeter immédiatement les ballons éclatés. 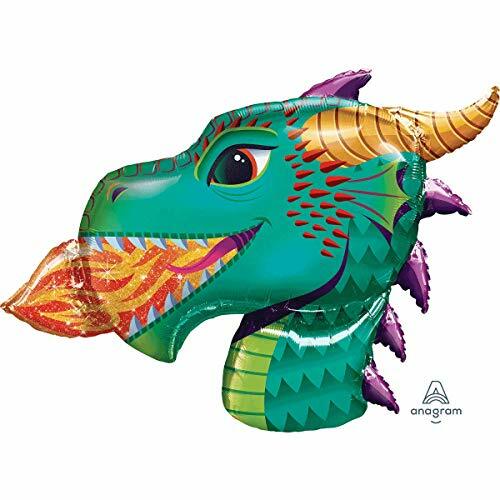 This menacing fire-breathing dragon head balloon measures an enormous 36" when fully inflated. Perfect for a children's birthday party or any fairytale-themed celebration! Award Winning 36" PURPLE DRAGON Anti-Gravity Balloons Hover & Drift in Mid-Air with "NO STRINGS ATTACHED"! FUN for all Ages! Includes Weights for Easy Height Control. The "HIT of your GOT PARTY!" 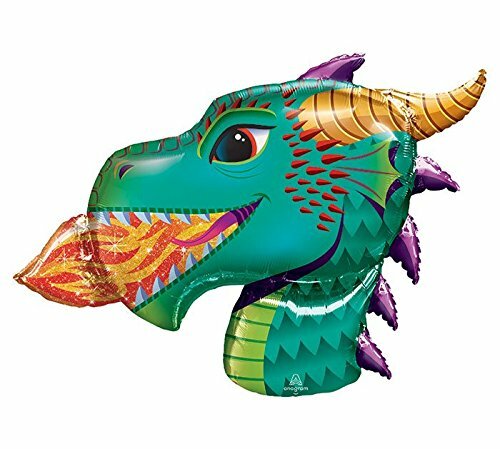 Size: 18.5"H x 14"W x 5.5"D5\" x 14\"
How To Train Your Dragon Foil Balloon 33"